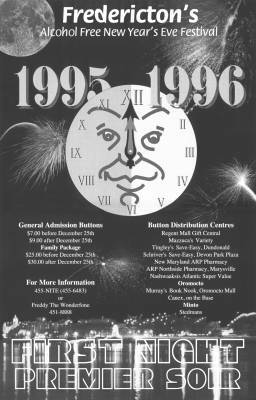 Client: Fredericton First Night Inc. Description: Poster design and concept. We developed the concept of "last night, first night" and integrated it into our design using the two halves of the clock face, with each side representing a different year - behind and forward.